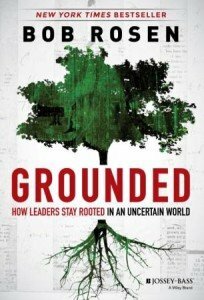 Today’s post is by Bob Rosen, author of Grounded: How Leaders Stay Rooted in an Uncertain World (CLICK HERE to get your copy). 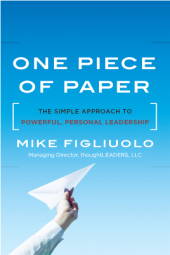 To understand the secret to great leadership, forget everything you’ve been taught until now. What worked in the past simply won’t cut it anymore. Until recently, the accepted wisdom has been that leaders should be judged by short-term results. But, we’ve found that, thanks to rapidly changing technological innovation, deepening globalization and an ever-present uncertainty, this perspective hasn’t kept up with the times. In fact, another, completely different model is necessary, with a new, more personal focus: effective leadership results from deeper internal qualities, not actions. Who you are drives what you do and that, in turn, determines performance. Physical health. It’s vital for providing the energy and stamina needed to meet the relentless demands of a constantly changing world. But you also have to understand the complex interconnection between mind and body. And you need to develop an energy management system that allows you to keep going over the long-term. Emotional health. A necessity for stopping negative feelings from getting in the way of productive thinking, it helps you stay optimistic, while avoiding getting carried away by enthusiasm. It requires that you understand your strengths and weaknesses, are comfortable with ambiguity and are able to bounce back when times are difficult. Intellectual health. This quality involves an intellectual adroitness and deep curiosity, which allows you to weigh quickly changing and potentially contradictory information. It also requires a multi-faceted flexible approach, rather than the usual linear thinking we’re used to. Social health. Without strong personal connections, no leader can function effectively. Social health lets you build an environment of trust and a commitment to the organization’s goals. The most important element: authenticity, a consistency and integrity in everything you do, allowing you to build a wide array of mutually beneficial relationships. Vocational health. With this quality, you can tap into a meaningful calling reflecting who you are and what you want to be. Vocational health makes it possible to reach your highest potential, setting an example for others about the value of life-long learning. And, it’s essential for developing leadership potential in others. Spiritual health. It means serving a larger purpose—one that’s more than meeting organizational goals. That focus lets you get to the heart of the matter, avoiding trivial distractions and building an environment of respect and trust. Why are these healthy roots so critical? The answer: it’s leaders with these particular qualities who are up to the job, able to take the actions necessary to meet the challenges of today’s world. For example, they allow leaders to tap into a higher purpose, thereby inspiring their people to feel that they matter, and to forge a shared direction, uniting the organization around a challenging, common goal. Healthy leaders also are able to unleash human potential, taking the steps to engage their people and encourage them to work to their full potential; to foster productive relationships and connections with others; to seize new opportunities and moving quickly; and to drive ever-higher individual and company performance. Consider Alan Mulally. When he became CEO of Ford Motor Co. in 2006, the company was in serious trouble. Drawing on his full complement of healthy roots, from his clear authenticity to his ability to forge strong social connections, he was able to form the One Ford plan, restructuring the company and ensuring that everyone worked together to make it work. Today, Ford is profitable and growing. 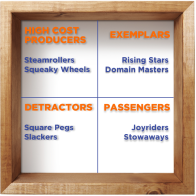 In fact, through extensive research, we’ve found that such leaders not only make effective decisions, take the right actions and inspire others around them, but they accomplish something more–significantly out-performing their peers, thereby boosting the organization’s ability to succeed and thrive in a fast-changing, complex environment. 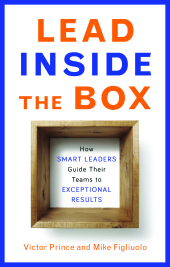 – Bob Rosen is a trusted CEO advisor, organizational psychologist, and author of six books, including The New York Times bestseller Grounded: How Leaders Stay Rooted in an Uncertain World (CLICK HERE to get your copy). His firm, Healthy Companies International, has worked with some of the world’s biggest and best organizations. 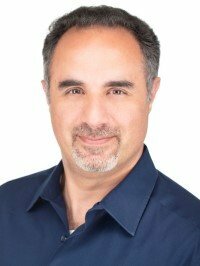 He has written for The New York Times, The Los Angeles Times, and many other publications. Did you enjoy this post? If so, I highly encourage you to take about 30 seconds to become a regular subscriber to this blog. 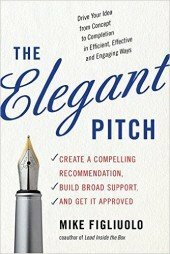 It’s free, fun, practical, and only a couple of emails a week (I promise!). SIGN UP HERE to get the thoughtLEADERS blog delivered to your inbox every week! It’s no secret that good leaders are also good communicators. And the best leaders have learned that effective communication is as much about authenticity as the words they speak and write. Indeed, communication and leadership are inextricably tied. Creative article – I was fascinated by the facts , Does someone know where I might be able to access a blank a form document to fill in? Hi Chante. Not sure. 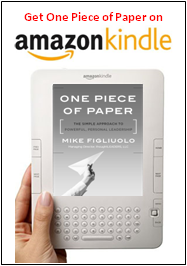 The best recommendation I have is to get the book that the article is based upon or reach out directly to the author at their URL listed in their byline. I hope that helps.